I like the way it dissolves easily , and feel like it makes a difference. 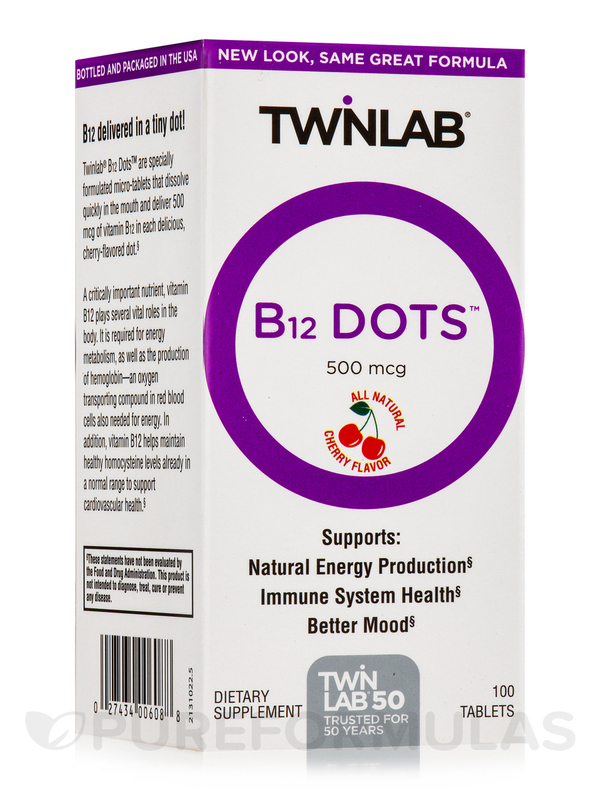 B-12 Dots™ 500 mcg 100 Tablets from Twinlab® may provide the benefits of vitamin B-12‚ which could support the production of energy. Vitamin B-12 is part of the group of B vitamins that are involved in many basic functions in the body. 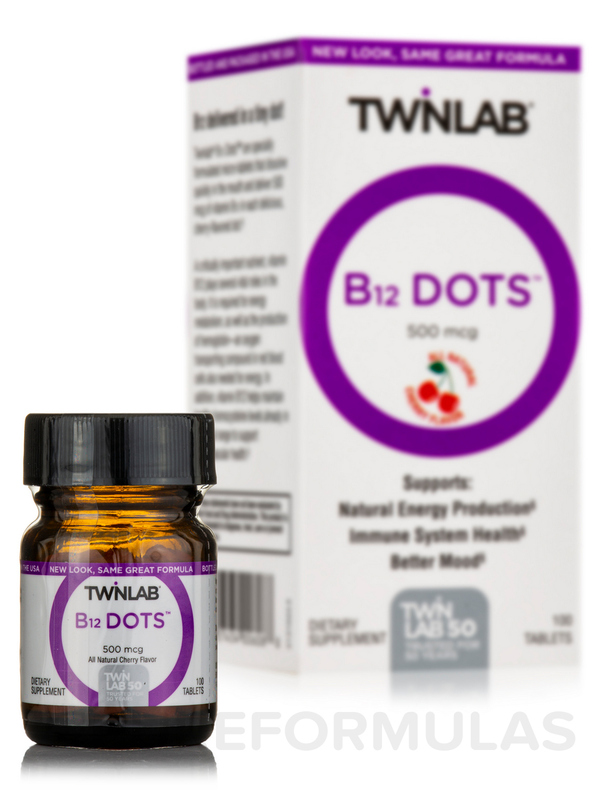 Even though B-12 can be found in fish‚ meats‚ poultry‚ eggs‚ milk‚ and milk products‚ a supplement like this one from Twinlab® might be beneficial. Studies show that B-12 may help maintain healthy nerve cells and red blood cells‚ while being mainly involved in the production of energy. The body uses B-12 in various metabolic processes including the synthesis of fats and proteins. This supplement may be useful for boosting mood and supporting the immune system. The body has the ability to assimilate vitamin B-12 from the daily diet‚ but some health conditions might reduce this ability. 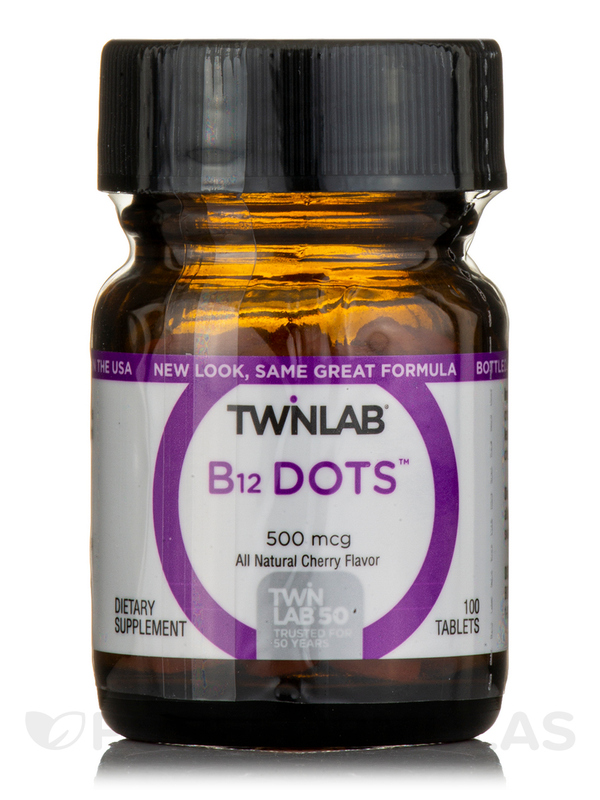 B-12 Dots™ 500 mcg 100 Tablets from Twinlab® is designed to dissolve quickly before being swallowed and is flavored with a natural cherry flavor. Other Ingredients: Cellulose‚ sorbitol‚ croscarmellose sodium‚ magnesium stearate‚ silica‚ cherry flavor‚ malic acid. Take one Dot daily. For best results‚ allow tablet to dissolve in mouth before swallowing. If you are pregnant or nursing‚ taking any medication or have any medical condition‚ consult a health care professional before use. B-12 Dots works for me. Ive used this exact same brand before.